"Throughout the coming year, fans will have multiple ways to celebrate the 20th anniversary of Farscape, which first premiered on March 19, 1999. In addition to the launch on Prime Video, enthusiasts can expect fan events and various licensing initiatives including a special edition vinyl soundtrack release from Music.Film Recordings and Varèse Saraband this summer...". 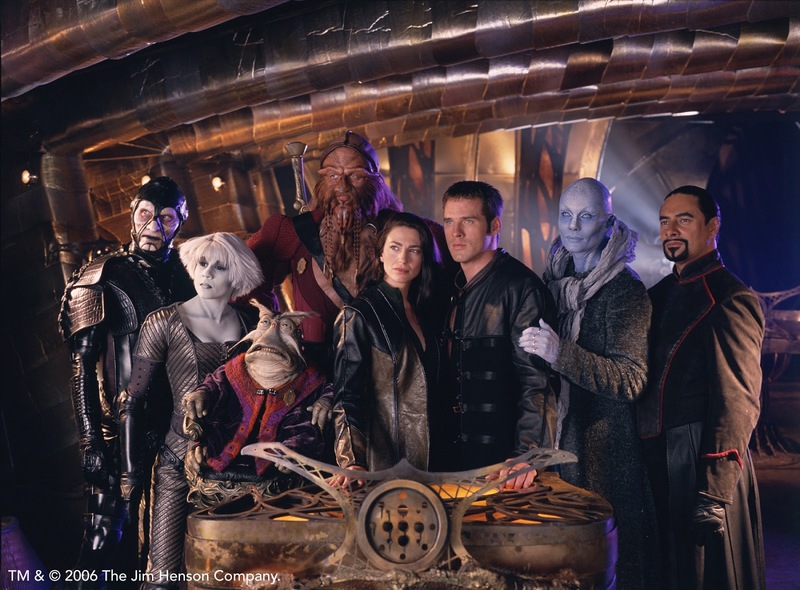 Beginning Tuesday, March 19, The Jim Henson Company's groundbreaking sci-fi series Farscape will be available in the US, UK, Canada, Australia, New Zealand and the Nordics, and several other countries around the world on Amazon Prime Video. All four seasons in HD (88 x 60'), plus the Emmy-nominated mini-series finale – also newly remastered in HD - will be available. Die-hard fans and sci-fi aficionados can binge, watch, and re-watch the entire award-winning cult favorite that has earned its place in science fiction canon. Throughout the coming year, fans will have multiple ways to celebrate the 20th anniversary of Farscape, which first premiered on March 19, 1999. In addition to the launch on Prime Video, enthusiasts can expect fan events and various licensing initiatives including a special edition vinyl soundtrack release from Music.Film Recordings and Varèse Saraband this summer. Collectors can look for products from Chronicle Collectibles, Toy Vault, and Trevco in the coming months. 'Scapers' (Farscape fans) are encouraged to follow the official Farscape social channels using the fan-created hashtag #FarscapeNow for specific Prime Video territory details and any upcoming announcements. Fusing live-action, digital effects, and state-of-the-art puppetry and prosthetics from Jim Henson's Creature Shop, Farscape has been hailed by TV Guide as one of the 25 Best Cult TV Shows. Emmy-nominated and winner of two Saturn Awards, Farscape, created by Rockne S. O'Bannon, was the first original series to air on SYFY. It went on to gain a loyal international fan following that has propelled multiple ancillary products including comics, collectibles, games, and publishing. Farscape follows astronaut John Crichton who, during an experimental space mission, is hurled across a thousand galaxies to an alien world. In his quest to return to Earth, he finds himself aboard a starship populated by escaping political prisoners from a variety of alien cultures. Crichton must rise to the challenge of surviving in a world he barely understands, keeping one step ahead of the pursuing Peacekeepers, a race of deadly mercenaries who will stop at nothing to capture him. The award-winning Jim Henson Company has remained an established leader in family entertainment for over 60 years and is recognized worldwide as an innovator in puppetry, animatronics, and digital animation. Best known as creators of the world-famous Muppets, Henson's most recent television credits include Dot., Word Party, and Doozers, and the Emmy-nominated Splash and Bubbles, Sid the Science Kid, and Dinosaur Train. Television productions include Fraggle Rock, The Storyteller, and the sci-fi series Farscape. The Company is currently in production on the upcoming Netflix original series The Dark Crystal: Age of Resistance and Guillermo Del Toro's Pinocchio.